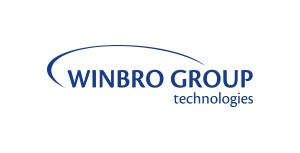 Winbro Group Technologies is a world leader in the design and manufacture of advanced machines and technologies based on nonconventional processes. The high technology machine systems produce cooling holes and forms in components used in the most demanding part of aero and industrial gas turbines for over 30 years. The company is family owned and has two manufacturing locations in Coalville, UK, and in Rock Hill South Carolina, USA. The non-conventional machining processes include High Speed EDM Drilling, Laser Drilling, Cutting & Ablation, Electro Chemical Machining, Capillary Drilling and Shaped Tube Electrolytic Machining. A solution like MailStore Server offers companies all the advantages of modern email archiving, along with key support during email migration projects. It is all based on a simple but effective principle of not overloading the new email server with a large number of old emails. Instead, these emails are archived in a one-time operation before migration is carried out. This makes it possible to significantly reduce the storage requirements of the new email server and, at the same time, streamline the overall migration process. These were also the primary requirements for Winbro. Following the company’s growth in recent years, the existing email infrastructure was no longer up to the task, making it necessary to upgrade to Microsoft Exchange Server 2010. Winbro Systems Manager Phil Antill decided to use an email archiving solution in August 2011 as part of efforts to streamline the migration project. Winbro decided to focus on MailStore Server from day one and did not evaluate other solutions. Instead, MailStore Server was thoroughly tested by a select group of users over a period of four weeks. Winbro successfully completed this phase relying solely on the documentation that was available, without the need to contact the support team once. Positive feedback from the users involved in the testing ultimately led to MailStore being chosen. Other key factors included its ease of use and full compatibility with both old and new email systems. These also happen to be two key strengths of MailStore Server. It supports most popular email systems currently on the market, allowing it to deliver maximum flexibility. While Winbro’s number one goal at that time was to ensure that the migration project went off without a hitch, another stated goal at the start of the project was to make end user access to archived emails as efficient as possible. MailStore Server also won Winbro over here with its fast full text search, which took the form of MailStore Add-in for Microsoft Outlook and MailStore Web Access in this project. Implementation as part of go-live was successfully carried out within a complex IT infrastructure spanning two locations on two different continents. This was performed in a virtual environment using VMware. On the day that migration to the new email server took place, MailStore Server played its part in ensuring the project went off smoothly, proving that Winbro had made the right decision. Following successful migration, the technical and financial benefits offered by the email archive became increasingly apparent for the company. For instance, using MailStore Server made it possible to keep mailboxes in Exchange Server 2010 consistently small, while at the same time maintaining uniformly high server performance. Deletion rules were also established, whereby emails over a certain age can be deleted once these have been successfully archived from the Exchange Server mailboxes. How did you hear about MailStore Server? The solution was recommended to us by our MailStore distributor who had also offered us advice regarding our email infrastructure in the past. What did you like most about MailStore Server? Would you recommend MailStore Server to others? In our experience there is always going to be some friction when rolling out a new IT system. However, there were so few issues with MailStore Server that we would have no reservations about recommending the solution. Yahoo! Japan and KAB Laboratories, Inc. also made the choice to go with MailStore Server in a similar project. KAB Laboratories is a high-technology, veteran-owned business headquartered in San Diego, California, and was founded in 1986. KAB provides software engineering, systems engineering, and training supporting government and commercial organizations.